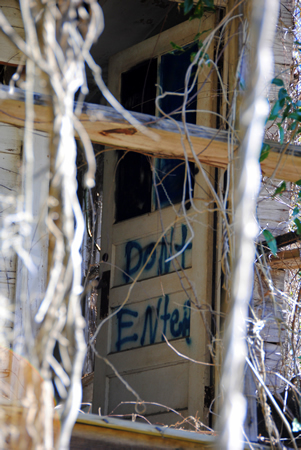 What desolation lurks near you? 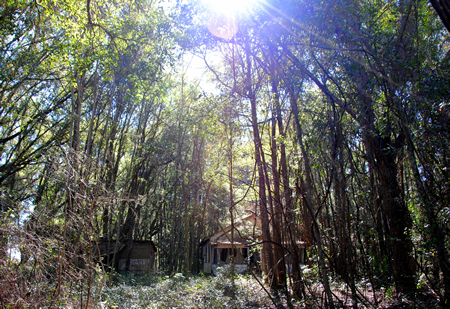 Fall and winter are short seasons in Florida, and spring and summer often fill a solid nine - sometimes even ten - months of the year. 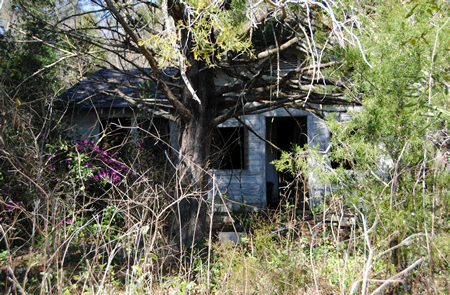 In the warm (and hot) months, vegetation thrives and often smothers abandoned places in greenery. As we hurry from home to work to home in a rush to make it to our destination as fast as possible, we rarely notice the desolate vestiges of the past, sinking into nothingness behind the brambles. But in the short months of fall and winter, and even into the early days of spring when flowers begin to bloom but leaves have yet to burst forth, sometimes the remains of the past can be glimpsed through the naked trees - even as we speed hastily past. Winter didn't really arrive in Florida until January this year, and while we are not yet into March, spring has already sprung. 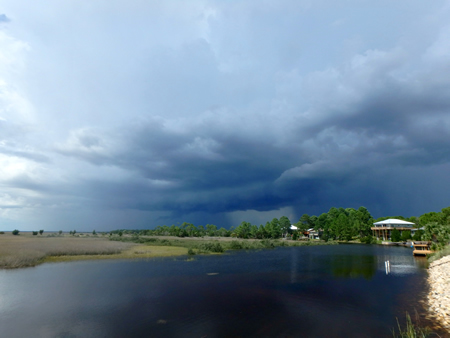 Still, for those of you in north Florida at least, now is a good time to look closely at your surroundings. 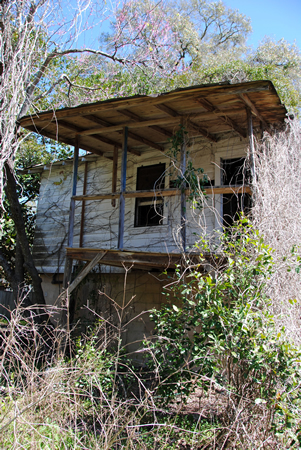 What bits of desolation lurk just out of site near you? 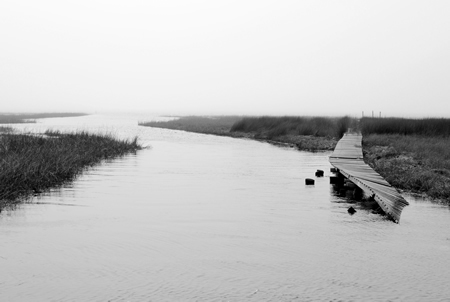 The following photos were all taken within walking distance of my home. I had driven past two of these structures twice daily for nearly a good six months before the fall season thinned the woods enough for them to become visible. Look closely! Desolation is encroaching. 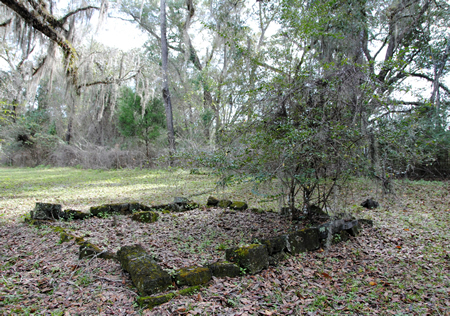 Can you see the remains of the house? 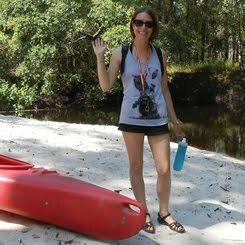 I have mentioned (far too often, probably) that I grew up in Columbia County, Florida. For those of you who might not know, Lake City is Columbia’s county seat, and by far the largest town in the county. (Granted, the city has a population of around 12,000, so “largest” is, of course, relative. 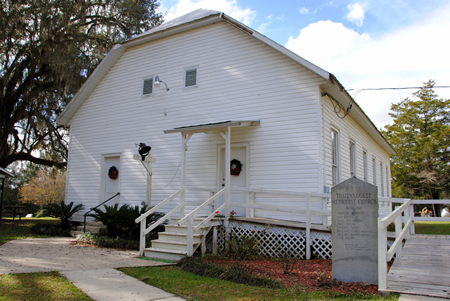 As did many folks who grew up in the vicinity of Lake City, I knew that the town had once been called Alligator, named after the Seminole chief of the Seminole village which was once located where Lake City is now. The story goes that either the wife or the daughter (I’ve heard both) of the mayor of the town of Alligator was too embarrassed to live in a town named, well, Alligator, and she convinced him to change the name to Lake City. I’ve always thought Alligator made a far more interesting name than Lake City, to be honest. There’s a road in Columbia County officially numbered County Road 131. All my life nearly everyone has referred to it not as 131, but as Tustenuggee. 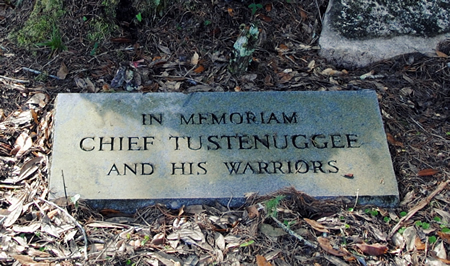 I remember asking my mother why it was called Tustenuggee, and being told that it was named after Chief Alligator, and that it was a Seminole word. I always assumed it meant alligator. I never learned much more about the early origins of the town of Alligator or its predecessor, the Seminole village, but this tidbit of local knowledge had certainly always stuck with me. 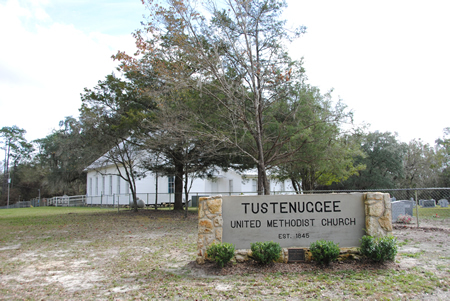 After I posted about the Columbia County stretch of Old Bellamy Road back in December 2015, one of my old school friends messaged me to suggest that the next time I was in the vicinity, I should check out the Tustenuggee United Methodist Church, located at the southern end of Tustenuggee (not far from Old Bellamy Road). 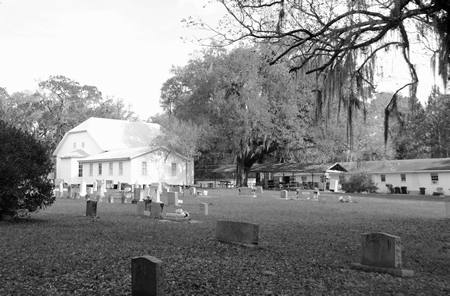 She mentioned that not only was the church itself quite old, but that it had a very interesting cemetery – including the graves of Chief Tustenuggee and his braves. 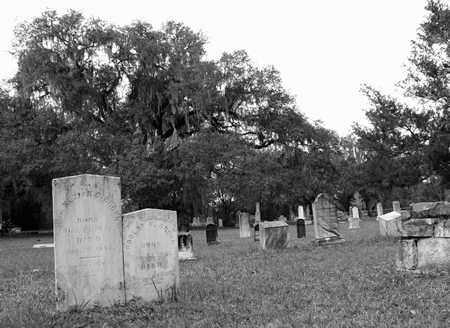 I am a sucker for old and interesting looking cemeteries, and the idea that a Seminole chief would be buried in a Methodist cemetery was just strange enough to motivate me to head back into Columbia County to take a look. 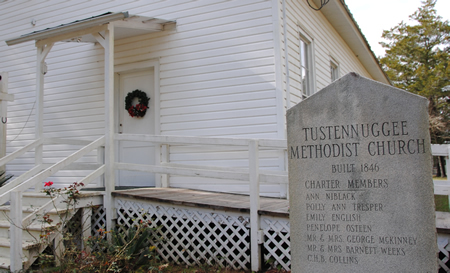 The Tustenuggee United Methodist Church itself was founded in 1845, although the current church structure was built in 1896 after the previous structure was destroyed by a storm. The brand new roof and white vinyl siding belie the age of the historic building; it’s hard to look at it and believe that it’s been around since 1896. 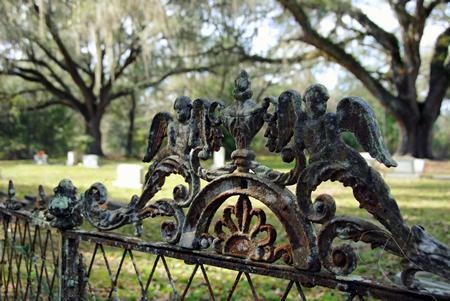 However, what is clearly not in doubt is the age of the cemetery. The oldest gravestone that I photographed dated from 1867, although there were quite a few stones that were broken or unreadable, as well as graves that were marked with nothing more than an outline of stones or moldering bricks. And then there was Chief Tustenuggee. 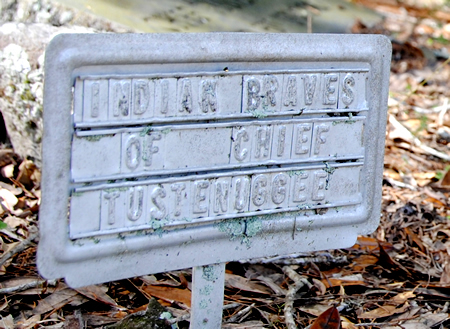 I know I’d been told that I’d find his grave there, but I must admit that when I stumbled upon a stone which read In Memoriam Chief Tustenuggee And His Warriors, surrounded by nine metal placards reading Indian Braves Of Chief Tustenuggee, I may have uttered some words quite inappropriate for a cemetery. 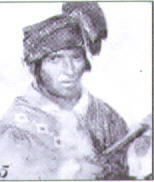 There likely were multiple Seminole leaders in Florida who went by the name Halpatter Tustenuggee (Hvlpvtv Tvstvnvke). It apparently translates to Alligator War Leader or Alligator Chief. As such, Tustenuggee may very well be less of a name and more of a title, meaning that any leader might have assumed such a title. 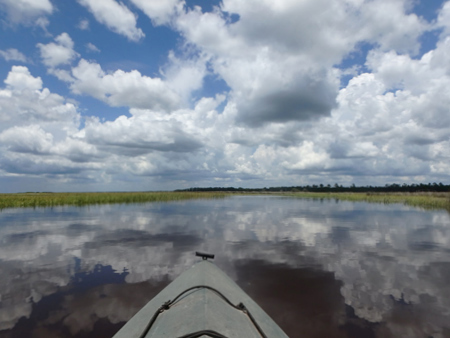 As alligators remain prevalent in the state even to this day, one might be persuaded that Halpatter (or Hvlpvtv) could have been a common Seminole name. It’s easy to see how there could have been multiple Halpatter Tustenuggees in the state over the years. 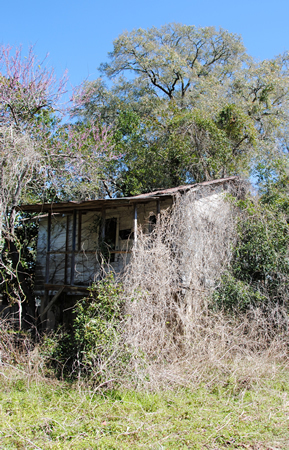 There was a Halpatter Tustenuggee who was the leader of the Hvlpvtv Tvlofv, or Alligator Village, located where Lake City stands today. 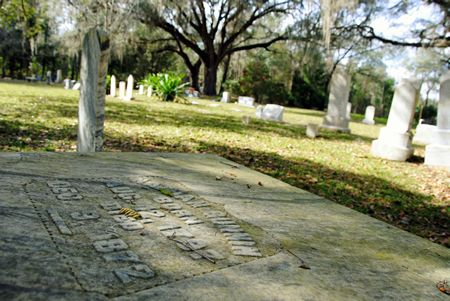 (The village may have been named after him, or he may have been named after the village.) 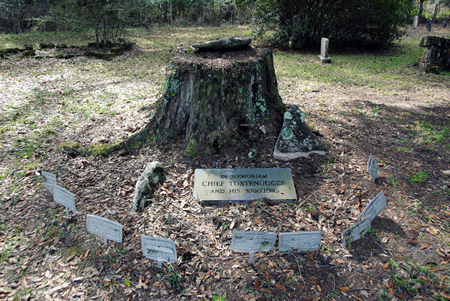 There may have been more than one Halpatter Tustenuggee involved in the Second Seminole War. 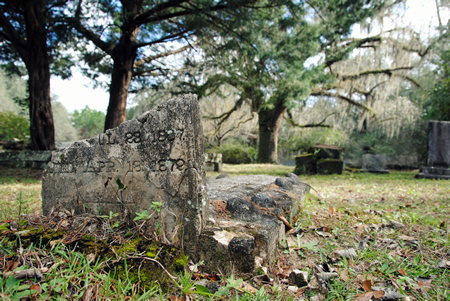 One led an army of Seminoles and escaped former slaves in the 1830s in one of the largest massacres of white settlers in the state. This may or may not have been the same Halpatter Tustenuggee who led troops at the Battle of Okeechobee during the Second Seminole War. 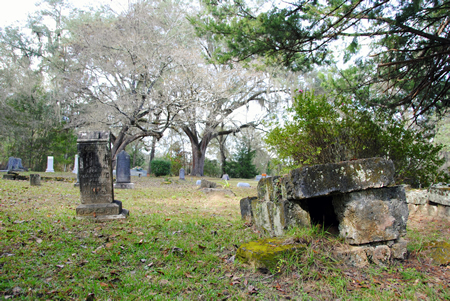 As one of the driving forces behind the Second Seminole War was the planned relocation of the Seminoles west to Oklahoma, it seems likely that the Halpatter Tustenuggee who tried to persuade his fellow tribesmen to relocate westward – and who, himself, is allegedly buried in Oklahoma – is definitely another figure entirely. There may be more. 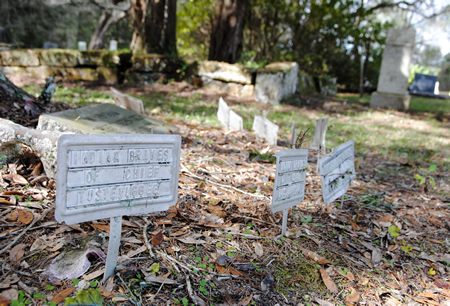 Many locals disagree about whether or not Tustenuggee and/or any “indian braves” are actually buried in the cemetery. 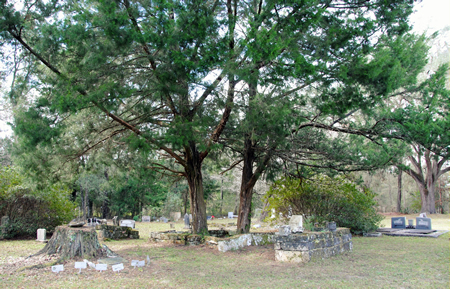 Some believe that he/they were indeed buried there, while others believe it is simply a memorial. 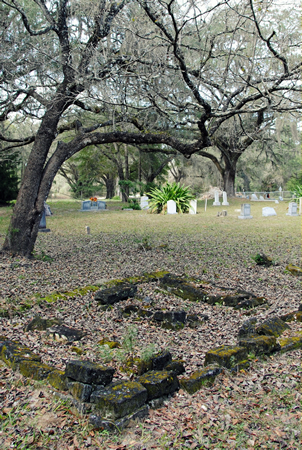 Some locals believe that the area upon which the cemetery of the Tustenuggee United Methodist Church is located was once a Seminole burial ground, in which case there may have been a Tustenuggee or two buried there over the years prior to the establishment of the Methodist church. 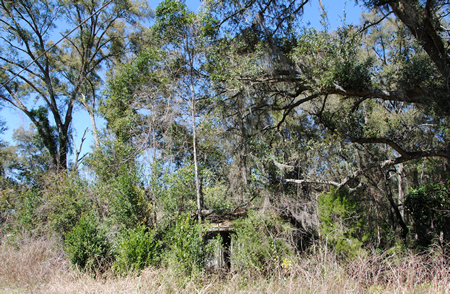 As I’ve mentioned before, I grew up in Columbia County, Florida. 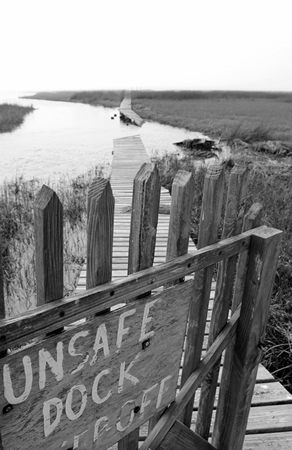 The second week of March 1993 was Spring Break week in Columbia County. Like many families with children, my family had decided to take advantage of my time off from school to go on vacation. We packed up our camper and went to the Atlantic coast of Georgia. 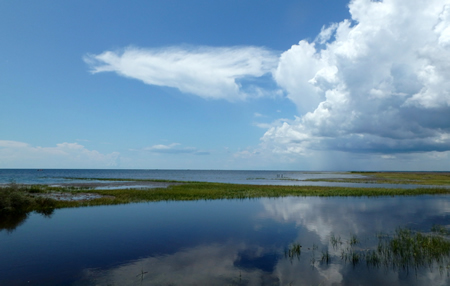 Another local family – with members from Columbia and neighboring Suwannee counties – packed for a vacation and headed in the opposite direction: to the Gulf Coast. 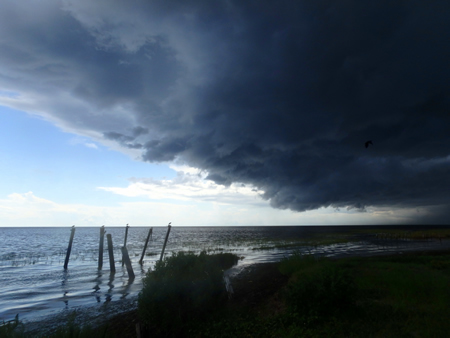 Floridians are no strangers to storms, although typically the dangerous storms we face are hurricanes; we have weeks to prepare as meteorologists track hurricanes across the waters towards us. March is not hurricane season. In fact, it’s the time of year when people from all across the country converge on our state to celebrate warmth and enjoy spring break. 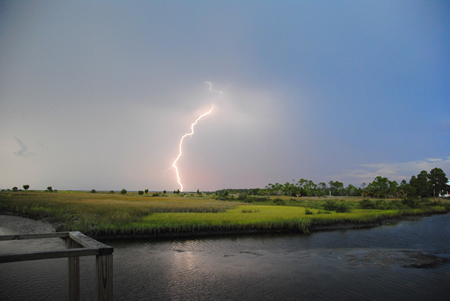 Certainly my family and I were not expecting a storm, nor were we prepared for frigid temperatures, lashing rain, and even snow flurries a mere two hours northeast of our Florida home. 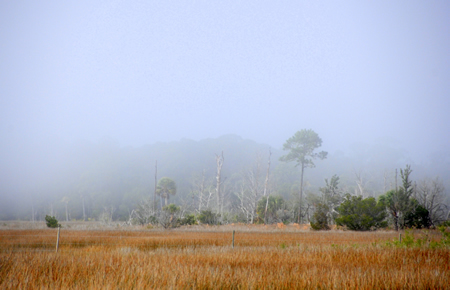 The island tour we had scheduled for the following morning was cancelled due to the weather, and we instead spent the day driving around looking at storm damages. I clearly recall seeing a large tree that had been uprooted and deposited on a rooftop. 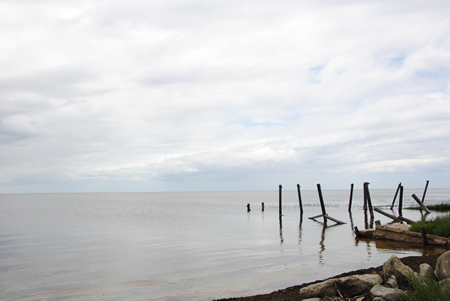 It wasn’t until we returned home that we realized the storm had been much worse in Florida – especially on the Gulf Coast. 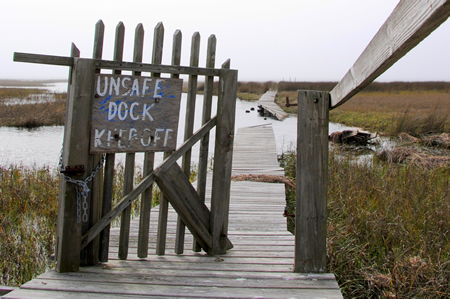 Dekle Beach is a tiny community, consisting mainly of vacation rentals, located on Florida’s Gulf Coast, in the bend where the peninsula of the state begins to curve west into the panhandle. 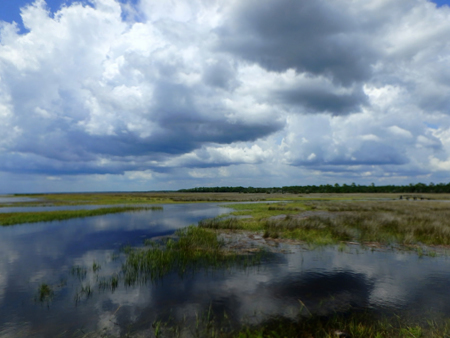 While so many of Florida’s coasts are hyperdeveloped, this part of the Gulf coast remains mostly desolate wilderness, dotted with small communities like Dekle Beach, which was the destination of that other north Florida family during spring break, the second week of March 1993. A massive winter storm, later dubbed The Storm of the Century, raged inland out of the Gulf – unpredicted by meteorologists. 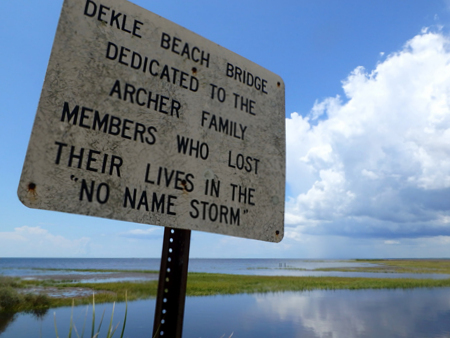 The storm caught so many by surprise that evacuation orders were not issued until the following morning, at which point it was already too late for those vacationing at Dekle Beach to heed them. 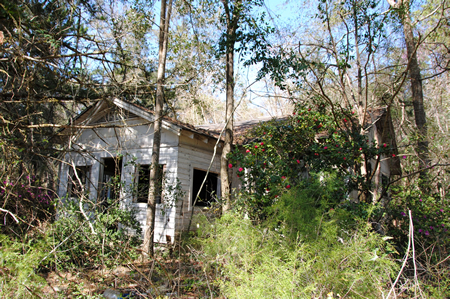 Ten people were killed in Dekle Beach, several of whom were members of the family from Columbia and Suwannee Counties. I did not know any of them personally, although I do remember the sense of horror and sadness that filled my community when news of their deaths became public. Real estate investors had planned to develop the area in the early to mid ‘00s, but the crash of the housing market put those plans on indefinite hold. 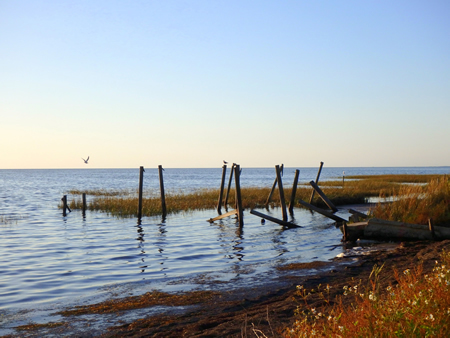 As such, Dekle Beach remains part of a beautiful, wild, undeveloped, naturally desolate, and incredibly photogenic part of the state. And remains of the disaster of 1993 can still be seen to this day. 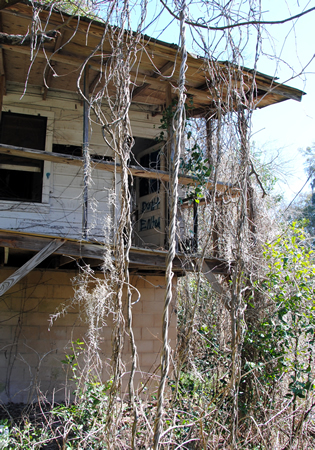 Years later, a close family friend purchased a vacation home in none other than Dekle Beach. 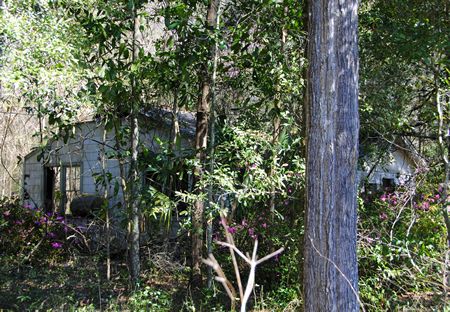 It was a little creepy to realize that he had bought a home in a place known to me solely as the location of so many deaths of people from my part of the state; however, his reasoning was that as the place he’d bought had survived the 1993 storm, it should be capable of weathering anything. 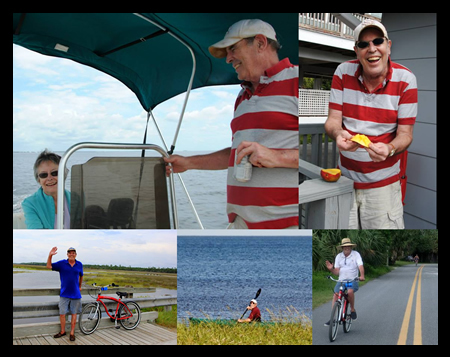 Due to his purchase of this property, I was able to spend a good deal of time in Dekle Beach over the past few years with him and my mother. Sadly, he died this past weekend, meaning that our weekends away at Dekle will no longer be a thing. I had initially planned to post this on the anniversary of the Storm of the Century, but instead I have decided to bump up the publication time, so that I could post it in his honor.